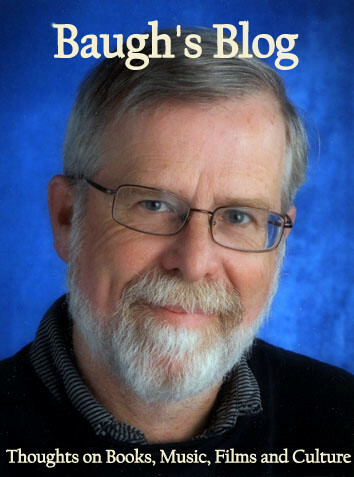 Baugh's Blog: Essay: Jaffa Cakes - cake or biscuit? Essay: Jaffa Cakes - cake or biscuit? When I was at boarding school in the English countryside in the mid-60s there were three prime articles that one yearned for in your mother's occasional "care package" of treats and useful foodstuffs. Top of the list was Marmite. Then there was Nestle flavoured powder - which you added to your milk. Also highly desired were packets of Jaffa cakes. Wonderful at Tea time. I don't buy Jaffa cakes any more. But once in a while they are brought back to memory by banter inside an English-based web forum. Jaffa cakes - cake or biscuit? And the fur flies as ardent advocates on either side argue the point. But what are Jaffa cakes, some of my readers may wonder. And why should we care? If you look it up in Wikipedia, the debate about the stuff is suggested in the very first sentence: "Jaffa cakes are a cake-styled biscuit". Right. Named, by the way, after the famed Jaffa orange. 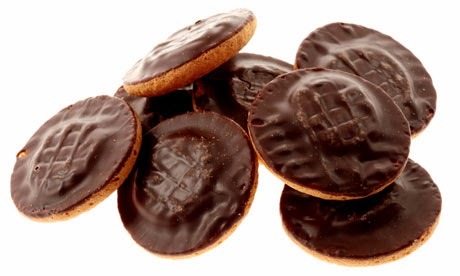 Jaffa cakes were introduced to the British market by McVitie and Price in 1927. They are generally found as small, circular, three-layered biscuits: the base consists of a Genoise sponge; in the middle is sandwiched an orange-flavoured jelly; and on top sits a coating of chocolate. The packages come in three sizes: one, two, or three dozen. The entire supply of British Jaffa cakes comes from a single, large factory located on the edge of Manchester and Stockport. In the UK, the issue of whether or not Jaffa cakes are cake or biscuit is more than merely philosophical concern. It's a matter of taxes. In the UK, chocolate-covered biscuits are taxable (VAT); chocolate-covered cakes are not. 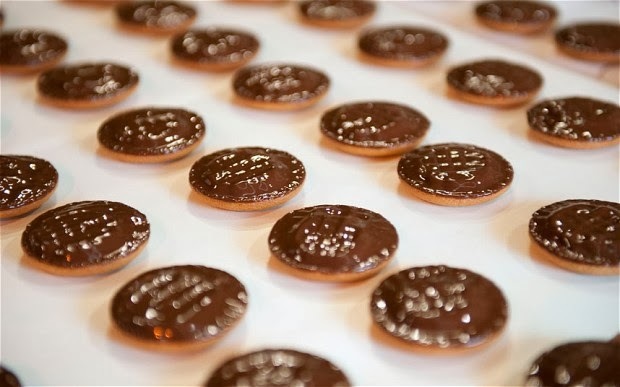 McVities claimed, at a VAT tribunal in 1991, that Jaffa "cakes" were cake, and not biscuit − against a counter-claim that they must be biscuits because of their size and shape. And also − this is a clever, utilitarian distinction − they serve the same role as a tea biscuit. After assessing Jaffa cakes according to eleven different criteria - including "texture", "attractiveness to children", and "consistency when stale" (the Jaffa cakes, in fact, go hard when stale, like a cake, whereas a biscuit goes soggy when it is stale), the court found in favour of McVities. So VAT is not paid on Jaffa Cakes in the UK. Yippee! But, still, cake or biscuit? Look at the pictures, people, and you decide. Definitely a cake, Clive. Do you remember, they are so light in texture that one is never enough. I could eat a whole packet in one sitting. Or was that just me!!!!???? OR maybe they are a biscuit, as you say, the size and shape??????????? Clive, it has been many years since I had a Jaffa Cake. Since I am not fond of chocolate or overly sweet things, I don't care for them. Chocolate and orange is a lovely combination, but oh my those little cakes are too too sweet. I'd much rather have a plain old McVities digestive biscuit. 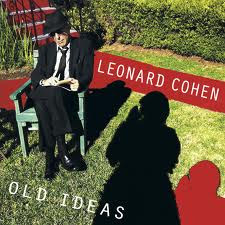 CD Review: Leonard Cohen - "Old Ideas"
If you wish to leave a public comment about any of the posts in this blog, find the spot at the bottom of that post where it says No Comment, or 1 Comment, etc. Click on that phrase and place your statement in the window that opens up. Thanks for your response! Book Review: Charles Dickens 2 - "The Pickwick Papers"
Clive W. Baugh. Watermark theme. Powered by Blogger.